If you build anything you must test it somehow. But how on Earth do you test a radiation detector? A successful test would mean that there's radioactivity around! Who would want to go near radioactivity on purpose? How hard does this radioactivity thing make our efforts in testing the detector? Well I have good news, and bad news. is that radioactivity is all around you. This is also bad news, if you're particularly afraid of being near it. There are plenty of natural sources that could be collected by yourself, but since your radiation detector is untested and therefore unreliable, you can't go out searching for minerals or testing rainwater (yes, it can be fairly radioactive), because you would never know whether you were just being unlucky, or your equipment was faulty, therefore you need something more reliable. 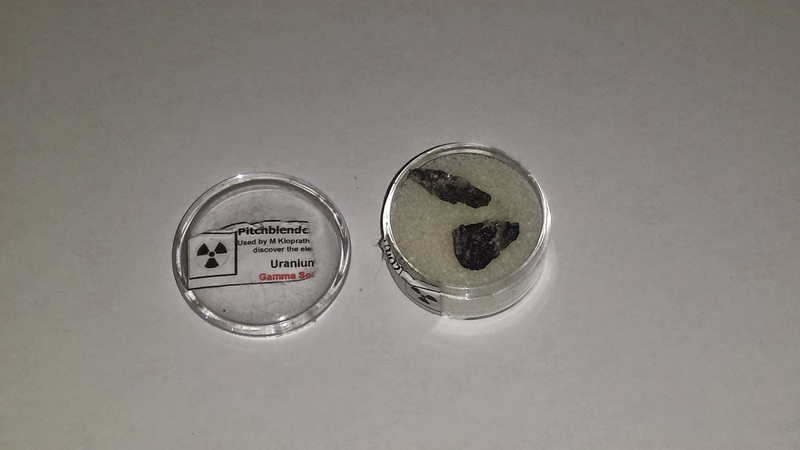 E-bay is full of (slightly) radioactive items, containing small amounts of uranium, or and/or thorium. Uranium was used as paint, things painted with uranium usually look orange. You can find "fiesta ware" plates, bowls or canisters at flea markets, garage sales or at E-Bay. 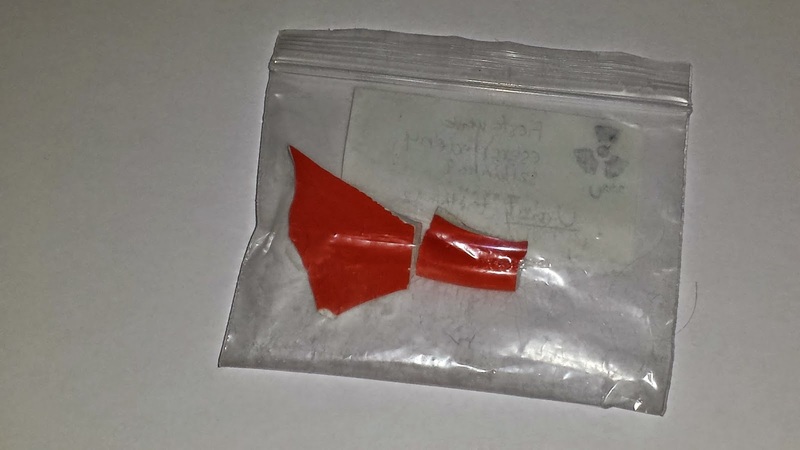 You can even search E-Bay for fiesta ware shards, sometimes the are sold as Geiger counter test sources. (Which is not entirely correct, since a test source should have a well defined activity, and while Uranium glazed pottery does have a very well detectable activity, it is not known precisely.) For our purposes, they are acceptable: ample radioactivity, but still safe; the glaze contains the Uranium very well, preventing crumbling and dust formation (which otherwise could get into your lungs). Glass doped with Uranium (called Vaseline glass, or depression glass) is slightly greenish or yellowish in colour and glows green or yellow under UV light. I did not test any Vaseline glass product yet, but they supposed to be much less active than radioactive minerals or Uranium glazed pottery. It's entirely possible that my (should I say our?) detector won't even get tripped by the small amount of activity of these items. I'll check one of these, if I get my hands on it. There are also a lot of minerals that are radioactive. These can be bought from collectors at E-Bay. 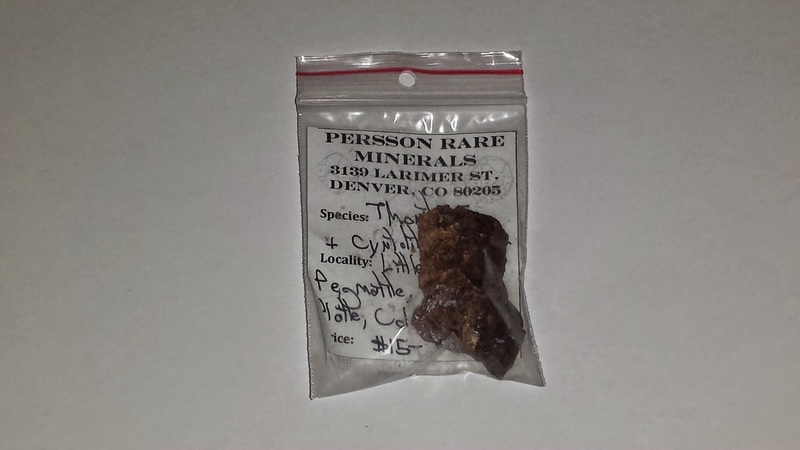 You can even buy the famous Uranium ore specimen from Amazon: http://www.amazon.com/dp/B000796XXM (the reviews are hilarious). If you have a very old watch with green or yellow glowing paint on the hands, that could potentially contain radium. These are ridiculously radioactive for their size. 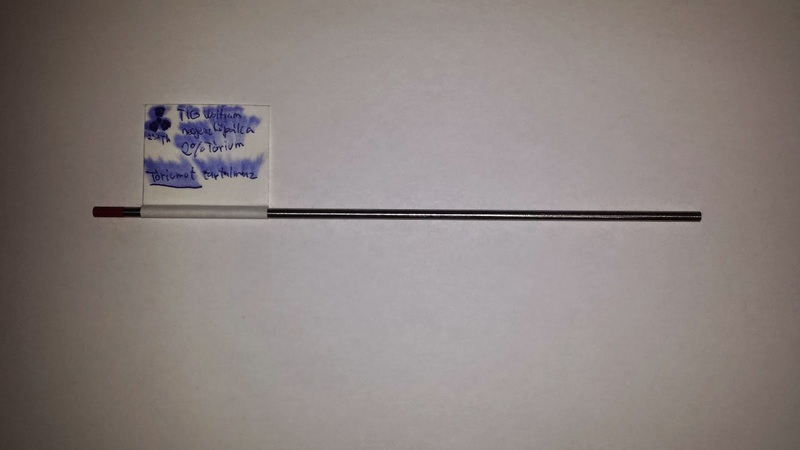 The first piece is a thoriated tungsten welding rod. It's 98% tungsten and 2% thorium. Thorium is one of the three naturally occurring primordial elements. An other one is barium, which is so slightly radioactive, that one would have to wait for about a sextillion or 1021 years to see only half of a chunk of barium-130 (the most stable isotope) to decay. So this is a tungsten rod with thorium. The label is ruined when it was used in a cloud chamber, and the alcohol vapour washed the ink away. Thorium has a half-life of about 14 billion years, which makes it roughly three times as stable as uranium. It does not mean that it is one third as radioactive though, since both thorium's and uranium's daughter elements (the ones they become once they decayed) are also unstable, and their daughters are also unstable, and so on. Since these decay chains are different, they emit different radiation types at different energies, so it's not that straightforward to compare radioactivity even if you know the half lives of the two elements. 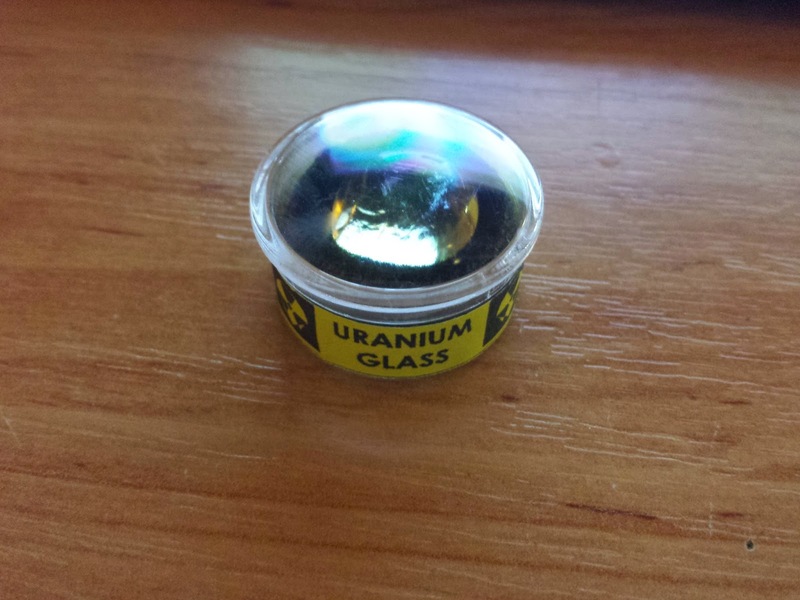 This is a small piece of uranium containig glass. It's barely radioactive. The meter can't detect it's radiation straight away. But if we take several measurement (say 50) during a few minutes, the average of the measurements without the sample is significantly lower than with the sample. The mathematically unaided eye can only see the readings dancing around a value. Telling what that value is generally hard. This is also a piece of almost radioactive stuff. Actually this is pretty radioactive, since it has some tritium (3H) in it. It decays by launching an electron with a kinetic energy of about 5.7 KeV, and an anti electronneutrino with similar overall energy, to make up the 18.8 KeV energy of the whole process. 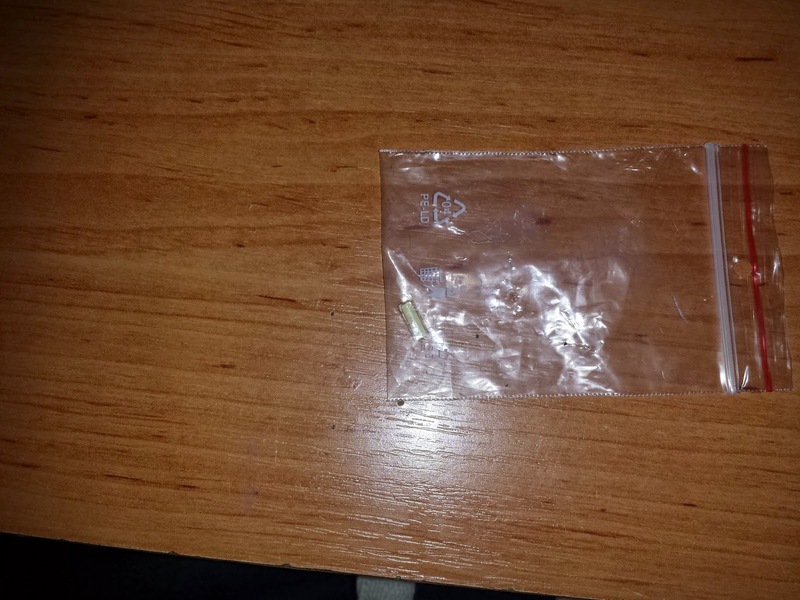 This is a small glass vial filled with tritium gas, and the inner wall is covered with phosphor. The tube glows in the dark. 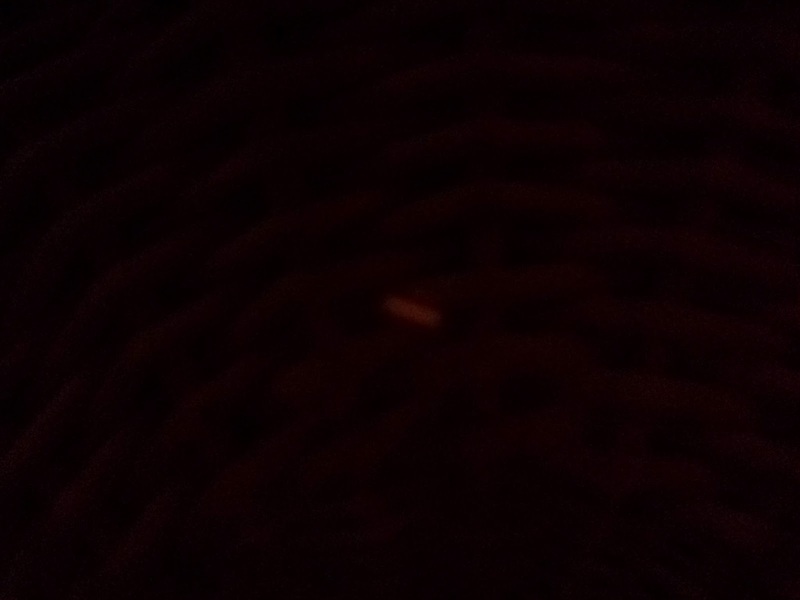 This glow is produced by radioactive decay (interacting with the phosphor). This is called radioluminescence. Radioluminescence caused by beta particles hitting the phosphor. These are two pieces of Fiesta ware pottery shards, with uranium containing glaze. (More on the brand here: http://en.wikipedia.org/wiki/Fiesta_%28dinnerware%29) My ion chamber responds with about 44mV bag on (no alpha). Bag off: 100mV. This thoriated lantern mantle contains some thorium salt that glows brilliant white when heated. It is used in gas lanterns. The soft textile burns away, and the ashes stay together and form a light source. The activity of this by my "home standard" is roughly 45mV, but the reading fluctuates between 30mV and 60mV with the bag on, blocking alpha. Bag off gives about 600mV. Since it's big and flat, it covers almost the entire chamber aperture, and this increases the apparent radioactivity in the alpha domain. 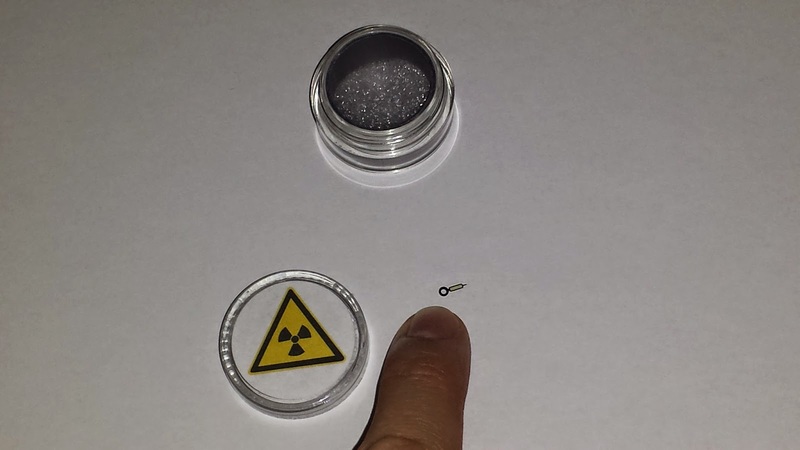 Ok, this is the most radioactive item for it's size. It's a watch hand, painted with radium. This small piece gives about 30mV. Three times as much as the whole thoriated welding rod. 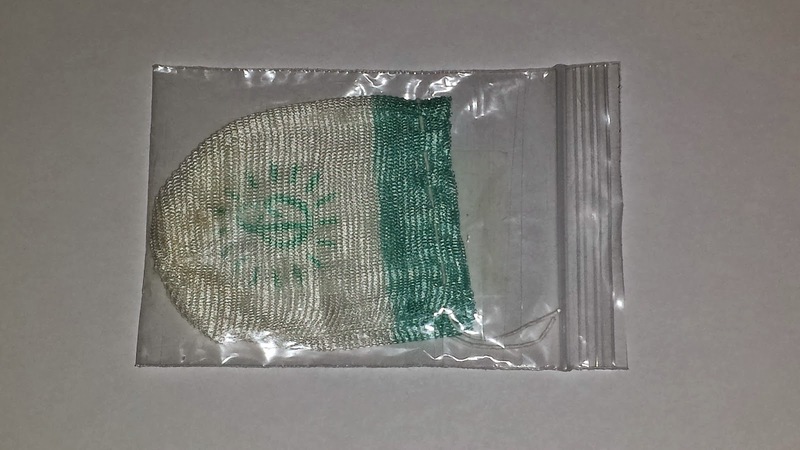 If in a plastic bag, it only gives a 2-3mV reading. These were all human-made objects. The following are natural stuff, rocks and minerals. 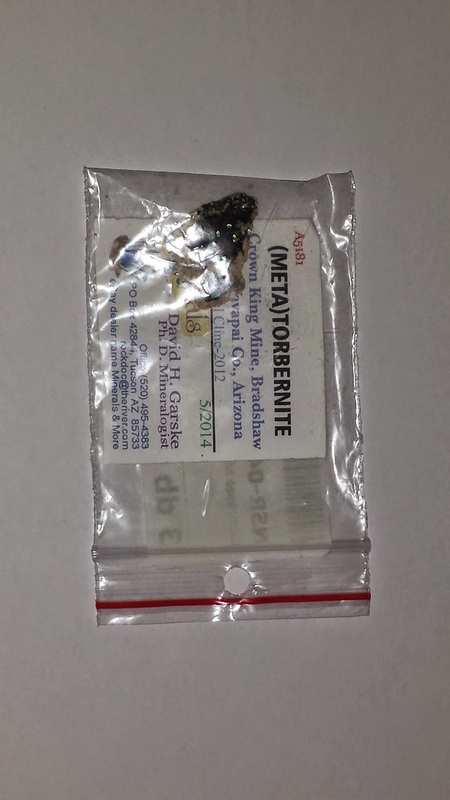 First, here is a few small crystals of metatorbernite. Torbernite is a uranium containing mineral. It get's it's "meta" prefix, once it dried out (lost some water). 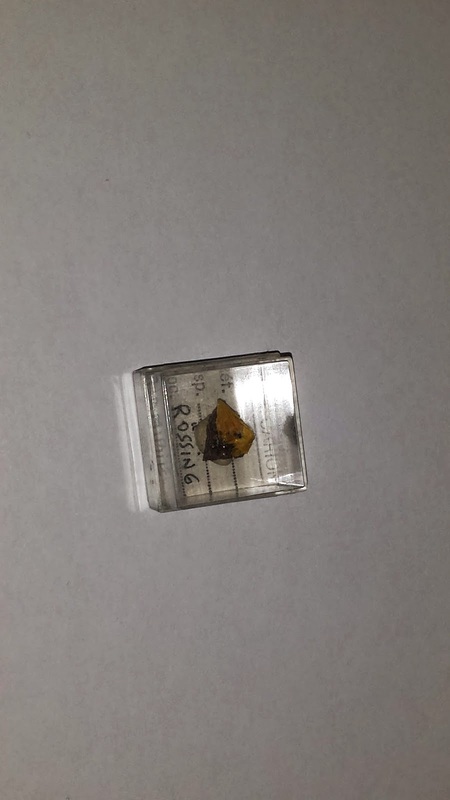 This rock only has a few crystals on it's surface, so it is very slightly radioactive. Bag on: 7mV, bag off: 70mV. 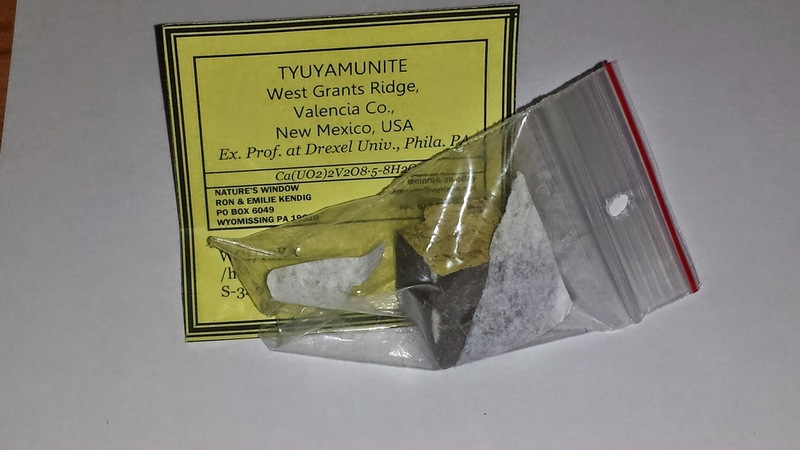 This is a uranium ore sample. It contains some sand and a few pieces of - probably - pitchblende. Reading through plastic container: 12mV. The larger pieces taken out of the container give 30-50mV readings. 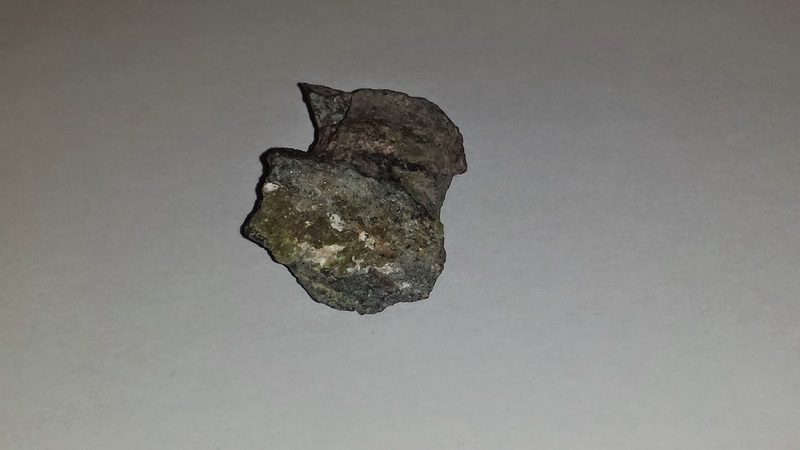 This is a large rock with patch of liebigite, also uranium mineral. Bag on: 20mV, bag off: 70mV. This one is schröckingerite, also a uranium mineral. 22mV in a bag, 170mV without it. 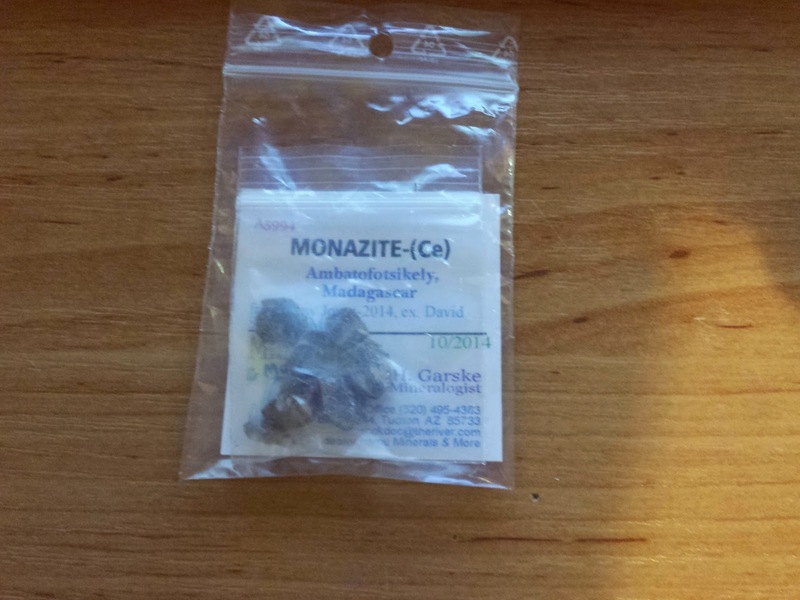 This is monazite. It gives 31mV with bag on, 240mV with the pieces laying naked on the surface of the detector. Monazite pieces laying naked on the detector. The power supply is the two series connected batteries at the background. The detector is shielded, and connected to the antistatic mat. The meter is showing 0.28V ~= 280mV. 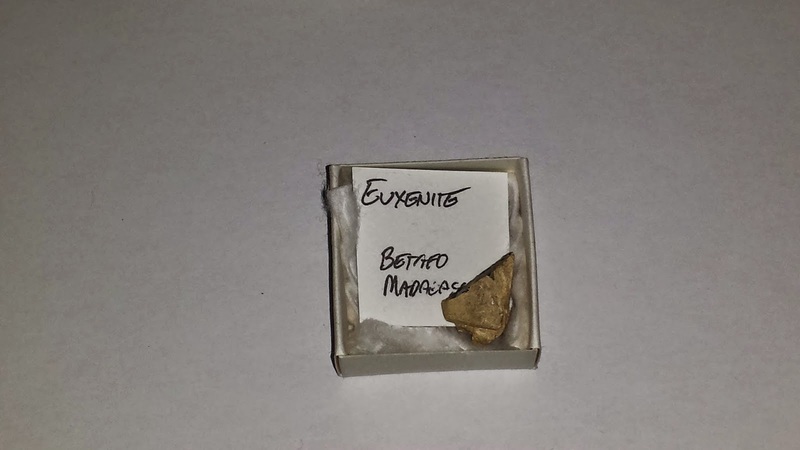 This is a piece of euxenite from Madagascar. It has a load of interesting elements in it, the chemical formula is (Y,Ca,Ce,U,Th)(Nb,Ta,Ti)2O6. 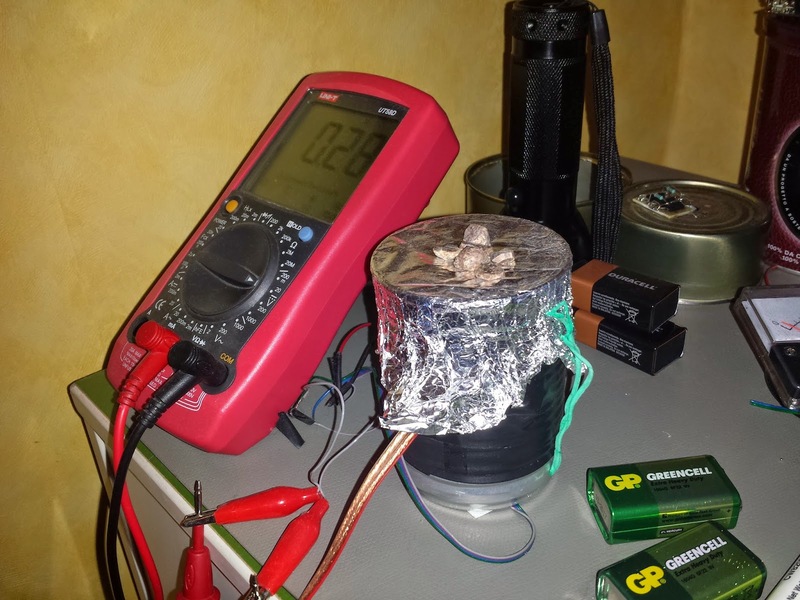 40mV with plastic bag, 200mV placed right on the detector. 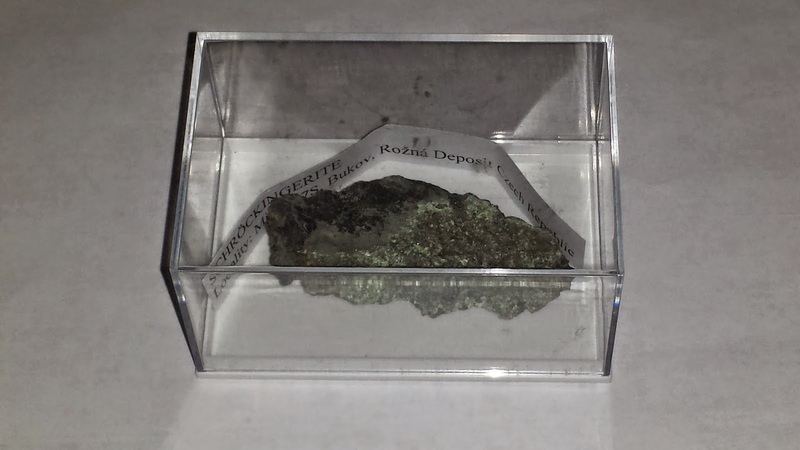 This nice piece of boltwoodite - which also contains uranium - makes 85mV through a plastic bag, and about 420mV laying on the aluminium foil shielding of the detector. 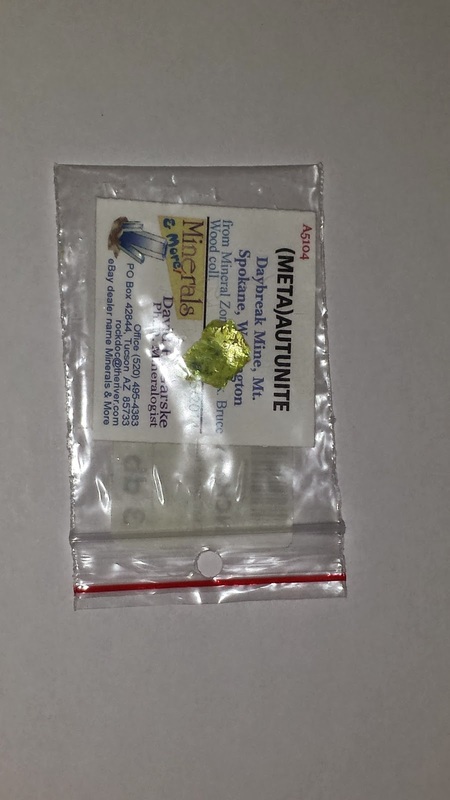 This piece is a beautiful metaautunite sample, contains uranium. 220mV in a plastic bag, 1000mV laying on the detector. 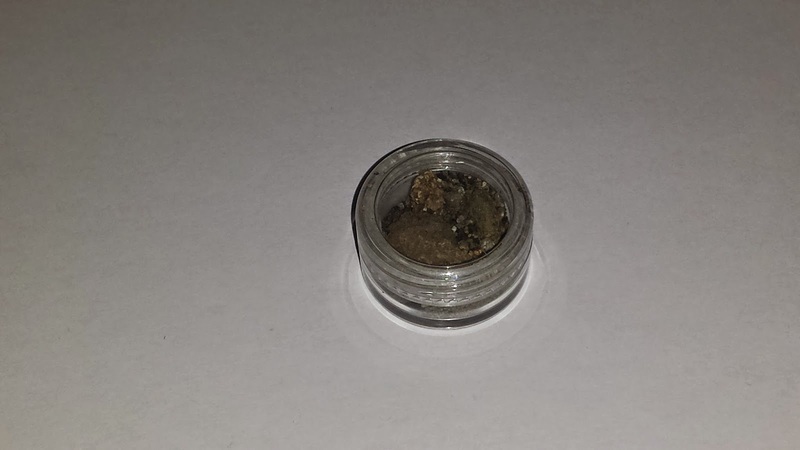 This is pitchblende, which is a uranium ore. 230mV through a plastic bag, 1200mV naked on the detector. Very hot indeed. The next mineral is a large chunk of thorite-Fe - a thorium ore, with iron impurity (hence the "Fe"). Bag on: 360mV, bag off: 1500mV. With these impressive numbers, this piece of thorite is the most active piece of my collection. There are a few other items in delivery. 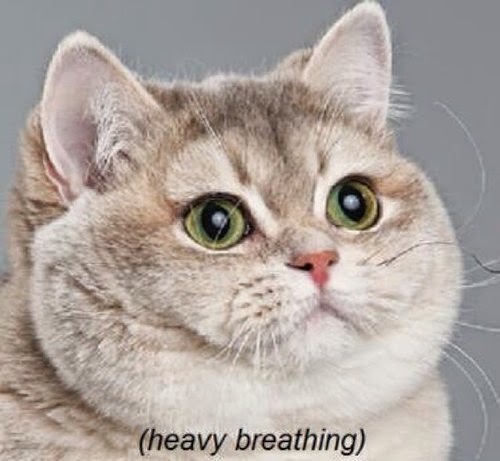 I've ordered a uranium glass marble, a piece of americium, a sample of a mineral called monazite, and some gummite with pitchblende. I'll post them when they'll arrive.